Hello Darlings, Since 1976, Toronto has played a host to an annual Toronto International Film Festival. Over the years TIFF has become the city's most anticipated event. Every year, the festival shows 370 films from 72 countries and welcomes over 400,000 movie enthusiasts. Traditionally TIFF begins on the Thursday evening following Labour Day and goes on for 11 days. 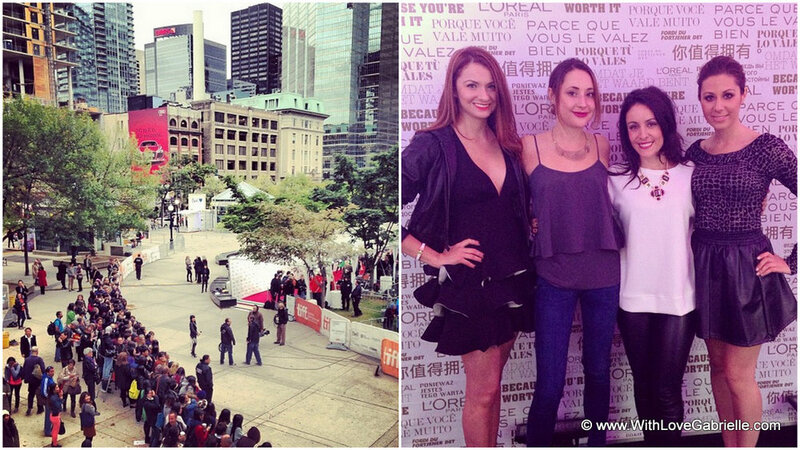 Last year was my first time attending TIFF festivities and this year I had the pleasure to do it all over again. During this period, the city embodies glitz and glamour with many star studded parties and non stop movie premieres. 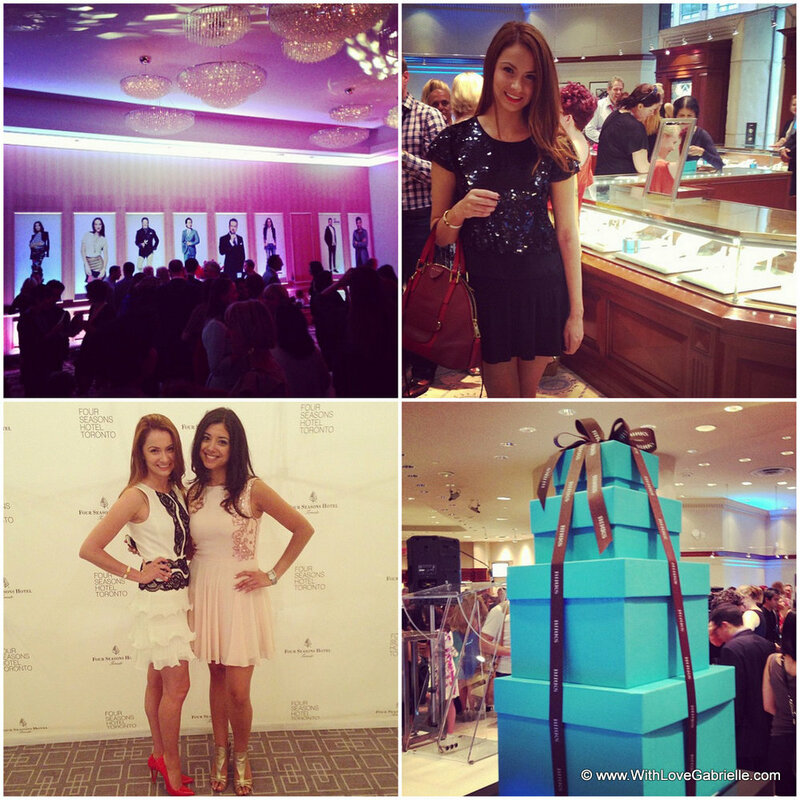 For 11 days it is a flow of editors, industry insiders and stars attending gifting lounges, premieres, parties, and galas. Overwhelming but always an experience! Naturally with this many events comes the wardrobe crises! What does one wear to a million and one events?! Every girl knows that getting caught in the same cocktail dress in one week is a social suicide. The pressure is on! Thankfully this TIFF, I had the pleasure of being dressed byBCBG Max Azria to many of the events. I've been a fan of the brand for many years, in fact going way back to my prom. Since, they have become my go to brand for many of my cocktail looks and of course flared bandage skirts. Nobody, does bandage skirts quite like they do! For the opening weekend, I also had the pleasure of getting red carpet ready with a brilliant team at the beautyBoutique by Shoppers Drug Mart/Sally Hershberger TIFF Suite. It's not everyday that a girl gets to have glam squad but that day I got lucky! I started with fabulous spray tan from St. Tropez skin finishing expert Sophie Evens. Followed by an amazing side-do by Sally Hershberger's team and of course make-up by Stila. All in all, it was like prom all over again and I loved every minute of it! For more behind the scenes images from my TIFF adventures please check out the album here!